Our body performs various functions to regulate its normal processing. There are various systems that take place in a human body like digestion, reproduction, circulation, excretion etc. Digestion is one of the important processes that is carried out in the body. In it, food is broken down into nutrients that the body uses for the development, energy, and cell repair. They are changed into small molecules that are carried out to every part of the body. Our stomach has two main functions. One is digestion and other is defense. It is responsible for breaking down the proteins with stomach juice that is acidic in nature. It secrete the enzymes and split the proteins into individual amino acids. Stomach acid, also known as gastric acid is a digestive liquid that contains hydrochloric acid and is produced in the stomach. Its role is to digest the food and kill any kind of bacteria that are harmful and get ingested in the system. 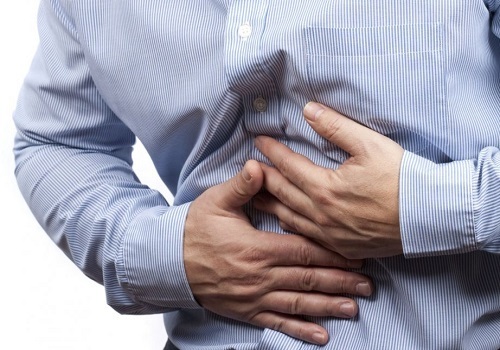 Sometimes, the body produces too much stomach acid that leads to several consequences. Some symptoms may arise like heartburn, bloating, flatulence etc. Acid Reflux: This condition also arises when the contents of stomach travel backward from the digestive system to the oesophagus. It is also called Gastrointestinal Reflux Disease(GERD). It leads to burning pain in chest area. Sometimes, certain food items also cause acid reflux like citrus fruits, chocolates, alcohol etc. Ulcers: An open sore that usually affects the mucous lining of the body. If they are found in the stomach, they are mostly called gastric ulcers. When the stomach line is unable to protect itself from harsh acids present then, it starts destroying the lining resulting in the ulcers. Too much acid in the stomach? Sometimes, in order to compensate for the lack of enzymes, the stomach starts producing an inordinate amount of acid which leads to stomach indigestion. It passes more quantities of poorly digested food into intestinal tract that leads to different disorders like bloating, bad digestion, gas etc. For those people, the solution may be the supplements that have digestive enzymes which can digest meals in pre-acid phase. It eliminates the need for a large amount of stomach acid. Too little acid in the stomach? Sometimes, a little amount of acid in the stomach could cause low acidity. Sometimes, insufficient acid also makes it hard to break down the food particles into nutrients needed by the body, resulting in undigested food. It colonizes indigestion and makes interference. Antacid: It is a substance that is responsible for neutralizing stomach acid and relieve heartburn, indigestion, or an upset stomach. They combine with other hydroxide or bicarbonate ions to stop stomach acid. 7. Apple Cider Vinegar to make up for the insufficiency of stomach acid. Limit the intake of greasy food. This is all about how acid has an impact on your daily life. So, be safe and be healthy.